Pasadena, Calif. – November 9, 2018 – Convergent Energy + Power (Convergent) and SNC-Lavalin today announced that they have been recognized as an Energy Storage North America 2018 Innovation Award winners for their innovation and leadership in energy storage and positive impact on the energy storage industry. Convergent’s 10 MW behind-the-meter system, located in Sarnia, Ontario is the largest in North America. The system is reducing Global Adjustment charges for a large petrochemical facility by reducing its consumption during expensive grid peak periods. Convergent contracted with SNC-Lavalin, which engineered the system including, feasibility studies, electrical design, civil design and construction management. IHI Energy Storage provided the battery technology. Convergent’s system combines cutting-edge Li-Ion technology and design with its unparalleled peak dispatch algorithm, PEAK IQ. The system has the ability to inject and store up to 10 MW of electrical power, interconnected directly at the customer’s primary medium voltage distribution system. The plant is comprised of six 1.67 MW energy storage blocks, each block includes transformers, inverters, battery enclosures with associated HVAC & Control equipment. Energy Storage North America (ESNA), the most influential gathering of policy, technology and market leaders in energy storage, celebrated the winners of its 2018 Innovation Awards during a reception at the Pasadena Convention Center. Winners were recognized for their impact on the energy storage ecosystem, services supplied to customers and the grid, unique technology solutions, financing, or partnerships. Convergent Energy + Power (Convergent) is the leading independent developer of energy storage solutions in North America. Powered by results, Convergent manages all aspects of the energy storage asset development cycle to help customers navigate an increasingly expensive, decentralized, and renewable-driven energy landscape. Convergent deploys state-of-the-art technology to significantly lower commercial and industrial customers’ electricity bills and provide utilities with cost-effective grid solutions. 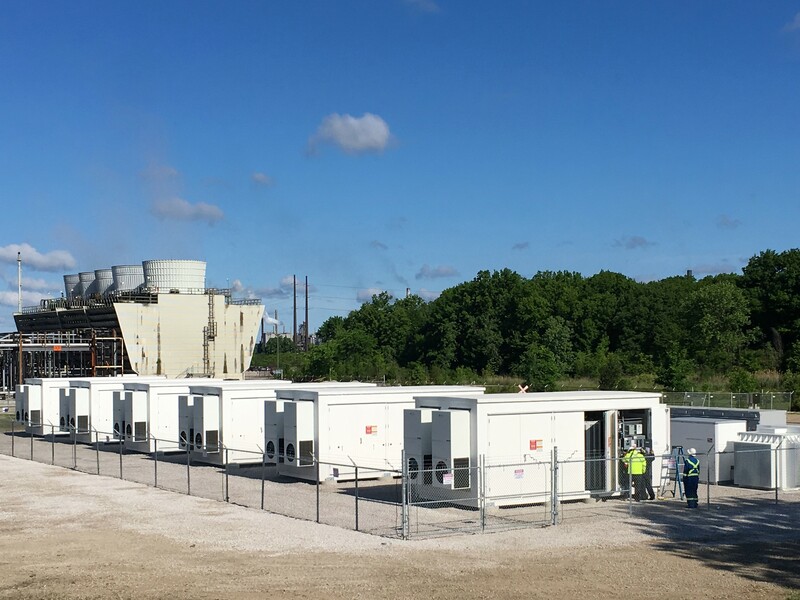 With over 120 MWs and 240 MWhs of projects in operation, construction, or under contract, Convergent is also the largest independent operator of energy storage in North America. For more information, visit convergentep.com or follow us on LinkedIn or Twitter.